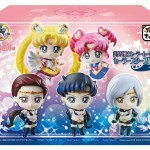 Four new Sailor Moon Petit Chara figures have been announced on the official Sailor Moon site. 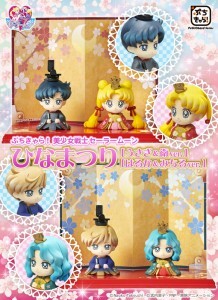 These ones are Hinamatsuri themed, showing Usagi, Mamoru, Haruka and Michiru in traditional Japanese dress. 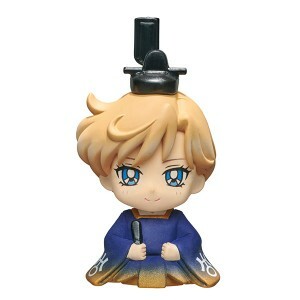 What, you may ask, is Hinamatsuri? Some of you may already be familiar with this but I certainly wasn’t before seeing these. 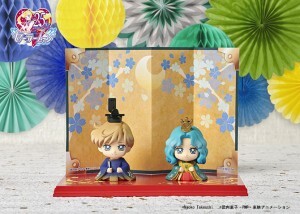 Hinamatsuri, also known as Doll’s Day or Girl’s Day, is a holiday in Japan celebrated on March 3rd of each year. On this day ornamental dolls, which these figures are meant to resemble, are displayed. 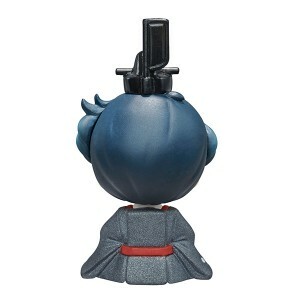 There are two sets of figures available. 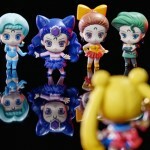 One is on Mamoru and Usagi and the other is of Haruka and Michiru. 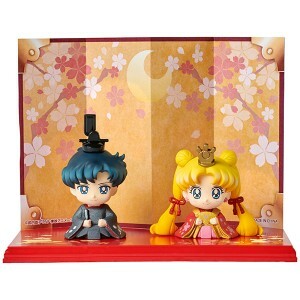 As these dolls traditionally show a wedding or an Emperor and Empress it seems fitting to use Sailor Moon’s two most iconic couples for these sets. 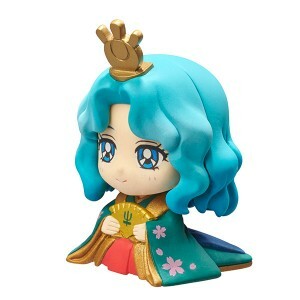 The figures are available for pre-order on certain online sites now and will be released online and in stores in Japan in January 2019. 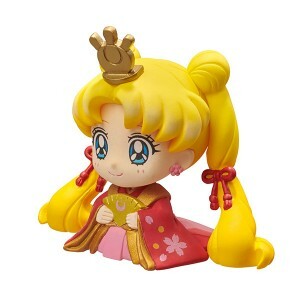 Though prices vary slightly each set of two figures will sell for roughly 3000 yen, about $26.50. Do you plan on picking up these sets? 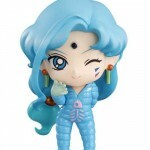 There are a lot of photos of the figures so keep reading for more images. 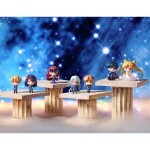 This entry was posted in Merchandise and tagged Hinamatsuri, Japan, Petit Chara, Sailor Moon, Sailor Neptune, Sailor Uranus, Tuxedo Mask by Adam. Bookmark the permalink. 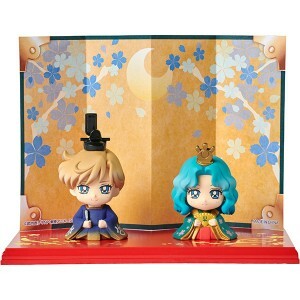 Wow, this set is really, really pretty (Neptune is my favourite)! 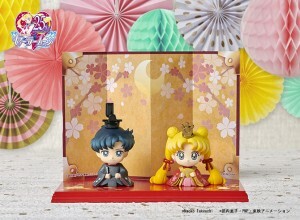 I didn’t know of Hanamatsuri, so thank you, Adam, for explaining this tradition and thus, why only Mamoru/Usagi and Haruka/Michiru were chosen for the set and not the other girls. 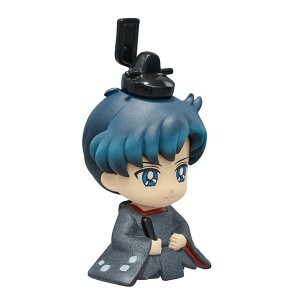 But now, I wish they had made Hinamatsuri Petit Chara figures of the others as well! 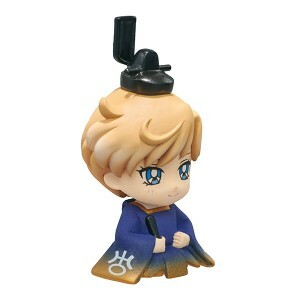 Chibi Moon with Helios, Mercury/Venus/Mars/Jupiter with the Four Kings, Human Luna with Human Artemis… But Saturn and Pluto would be alone then, and I would feel very sad for them . I heard that Karyn Dwyer (voice of BesuBesu) just died this year. Yes, she died 7 days ago. This is very sad for Karyn Dwyer’s family, friends and fans. She was young and beautiful. Condolences to her family and friends. Be serene though, Luke: she will keep on living through her works. I am. By the way, will the October news give news about Karyn Dwyer? You should ask Adam directly. Hi Luke. Just learning about this now. Very sad. I’ll write something up for the site. I agree! 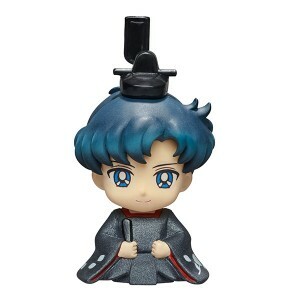 But do you think Usagi will agree to let Endymion dissociate from Mamoru and marry Sailor Pluto XD ? What? 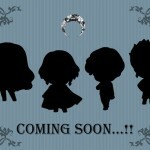 No Umino & Naru? ;p You have to admit that would be the cutest! Those are too freaking adorable! 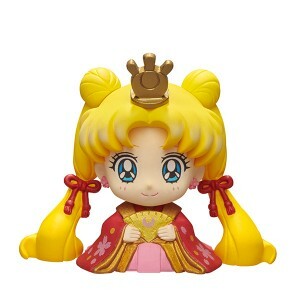 And Usagi looks ecstatic to be marrying/the Empress alongside Mamoru. 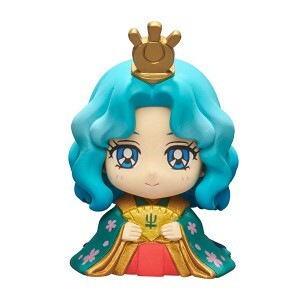 After buying a Petitchara blindbox I was pretty sad at how small these are. I was imagining at least a couple as big as some of my other figures but instead it was not much bigger than a Tsum tsum. 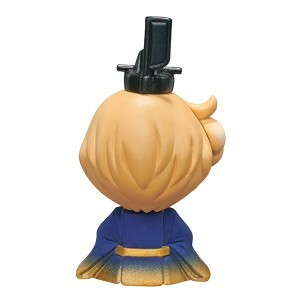 I got Jupiter in a yukata and it is adorable, but these things are so expensive…especially if you go the blind box route! Awww. All of these are so cute!